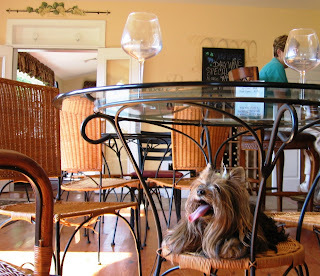 Follow the adventures of Virginia's famous Yorkie and Pomeranian pair as the wine-loving pups travel Virginia's wineries and vineyards. There are wine clubs, and there are wine clubs, but the Wine Dogs have found few compare to the Wine Club at Rappahannock Cellars, where Munchkin is in her fifth year of membership. 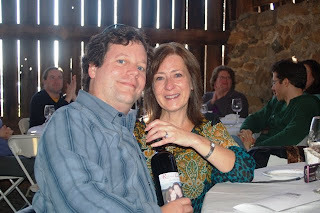 On Saturday, the Munchkin and Pomeroy joined fellow Wine Club members at the club’s Progressive Soup Party. That's the special thank you that proprietor John Delmare hosts every year for Wine Club members. Even the youngest of the 12 Delmare pups (nine girls and three boys) got involved as daughters Grace, Sophia, and Maura saw that check-in ran smoothly and kept tables supplied with bread. The complimentary wine starts flowing as soon as guests arrive at the soup event (this year’s selections, the Noblesse Blanc and North Coast Cabernet Sauvignon). A four course meal follows, with soup and wine paired to perfection. The Wine Dogs agreed that the Chardonnay was an excellent complement to the rich Champagne Brie soup (a perennial favorite), and the New World Red balanced nicely with the Spicy Black Bean and Italian Sausage soup. But the Chapelle Charlemange Cab Franc, paired with Wild Rice and Mushroom soup, stole the show, earning a full eight paws up. Fresh baked pecan cookies and the amber-hued Solara finished the meal. 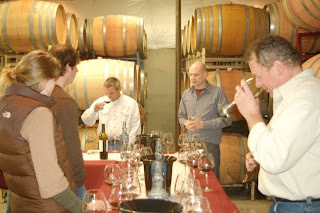 Wine Club members also get a taste of what’s happening in the vineyard and the barrel room at the soup event. 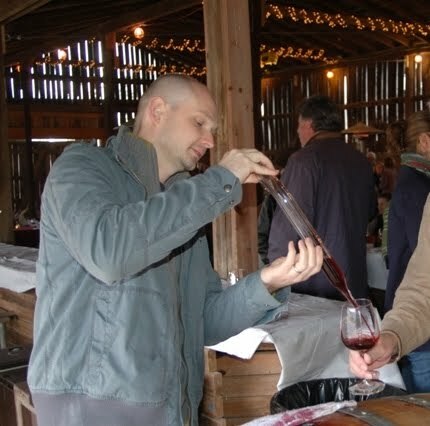 Winemaker Jason Burrus said the buzz around Virginia this year is excellent grapes courtesy of the drought, producing high-quality/high alcohol wine. He expects the stars of 2010 to be the Cabernet Sauvignon and the Viognier (2009 is definitely the year for Cab Franc, Jason says, and the winemaker says he’s bottling a Glenway Vineyard CF and “it is divine”). Big wines weren’t the only big news at this year's event. Wine Club members Rob and Lynn had their first date at Rappahannock Cellars two-and-a-half years ago; on Saturday, Rob popped the question (and the cork); Lynn said yes; and the happy couple wil l probably hold their wedding at Rappahannock as well. 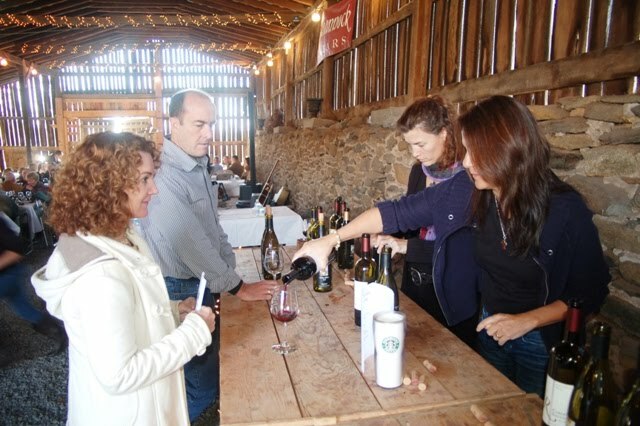 Membership has its privileges, as Pomeroy know s.
Rappahannock has a club room where Members can bring guests for complimentary tastings or a glass of wine (is Munchkin drunk under the table?). The Wine Dogs love the special Members-only section of the deck, where the paw-ty never stops. You never know who is going to pop up (or pop out, as this Wine Club member did to hear Robbie Limon play). Wine Club members get discounts on wine and first notification to all events held at Rappahannock Cellar s. Munchkin and Pomeroy highly recommend the Barrel Tastings with Jason and Vineyard Manager Tom Kelly. That’s where the Wine Dogs’ began to train their sensitive canine noses and sophisticated little palates to fully appreciate the great grape. So how can you join the club? Just buy two bottles of yummy Rappahannock Cellars wine every month at a 15 percent discount, and you're in. That's right. No membership fees, and unlike a cellphone contract, you can cancel whenever you like with no penalty. The club is exceptionally flexible. If like Munchkin your palate runs to reds, you can go red-only - or just swap out the white when the mood strikes you (a woman's prerogative and all). Don't like sweet wines - substitute. Rappahannock will ship your monthly selections, but why pass up an excuse to visit Virginia Wine Country and pick up your wine personally. Perhaps you'll run into your favorite Wine Dogs there. 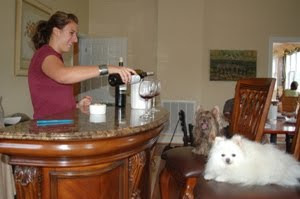 And the VA Wine Pups love their Wine Club! My developer is trying to convince me to move to .net from PHP. I have always disliked the idea because of the expenses. But he’s tryiong none the less. I’ve been using Movable-type on several websites for about a year and am anxious about switching to another platform. I have heard great things about blogengine.net. Is there a way I can transfer all my wordpress posts into it? Any help would be really appreciated! The Pupparazzi spied Pomeroy enjoying the Cherry Blossoms and the photo went global! The fabulous Vino Vixen interviews Munchkin and Pomeroy. Check out the story in the September edition of Our Town magazine or click the image above. 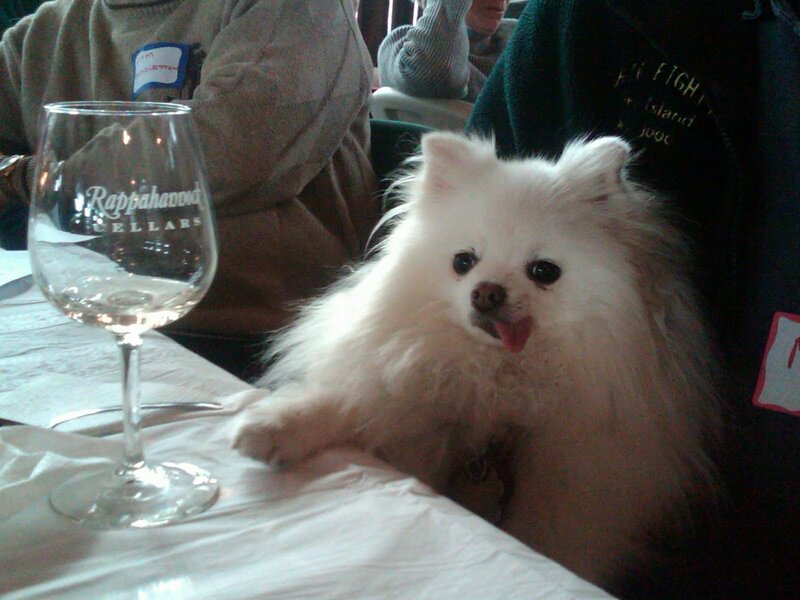 Wine Dogs reveal favs include "any winery where Robbie Limon is playing." 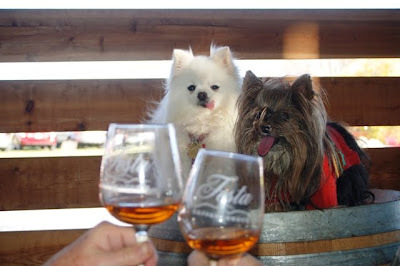 Munchkin and Pomeroy ran into the Pup-arazzi and the evening news featured the Wine Dogs' visit to the King Family Vineyards. 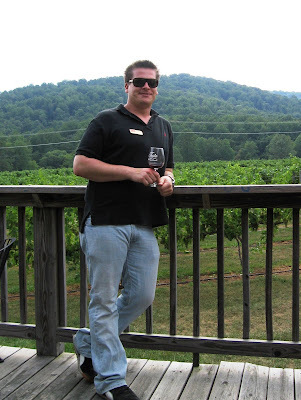 The Virginia Wine Industry lost one of its most enthusiastic promoters on September 10, 2012. 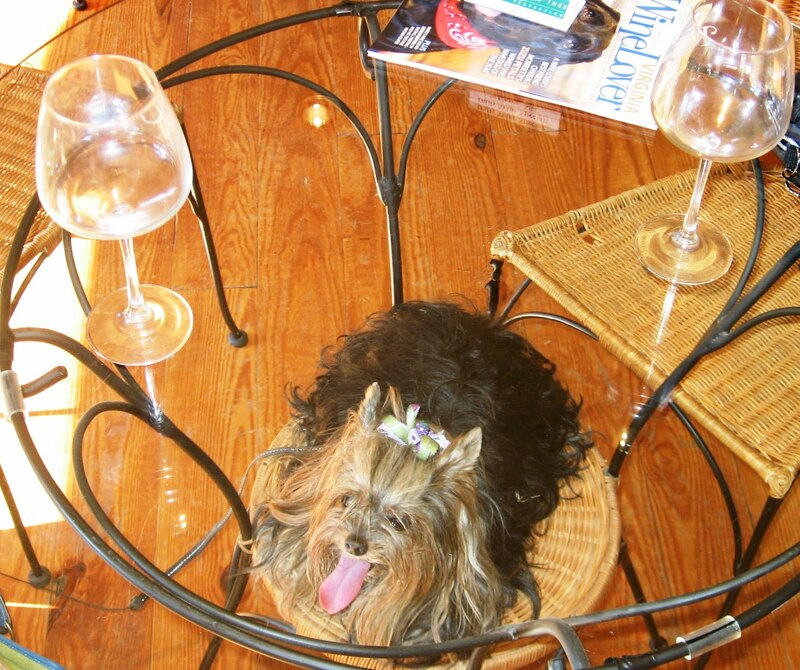 Munchkin -- the irrepressible Yorkshire Terrier of Virginia Wine Dogs fame -- crossed the Rainbow Bridge to tend heaven's vineyard. Read more. On July 20, 2016, Pomeroy, one of the original Wine Dogs, ran out of time and crossed over to the next life. He was 18. We still miss his smiling face every day. Some of our favorite memories follow here. 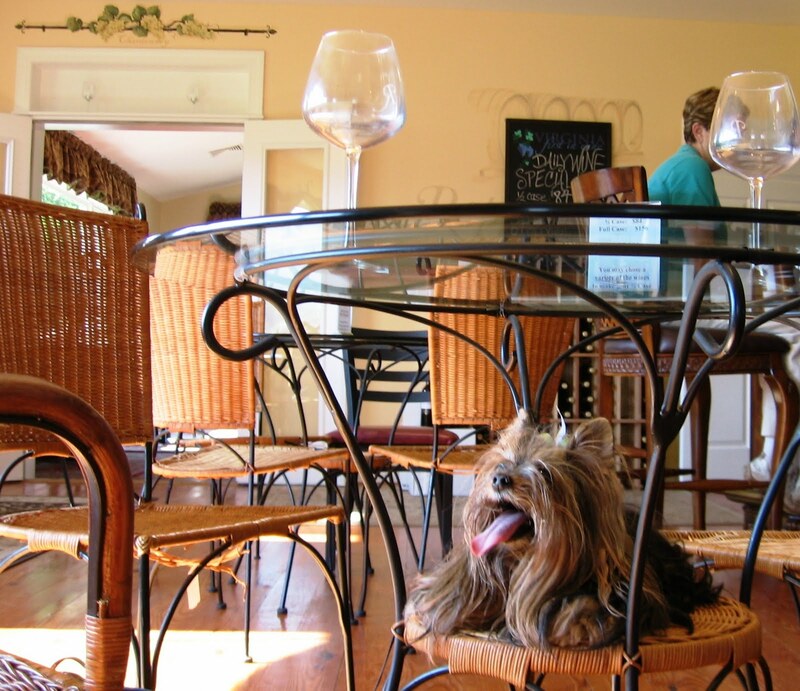 Paws Up to Birch, voted Virginia Wine Lover Magazine 2013 Readers Choice for best Wine Dog. Birch sort of adopted Barrel Oak Winery, and no wonder, BOW is arguably the most dog friendly winery in the world. Major Munchkin and Private Pomeroy are the first to get their campaign journals stamped by Phillip Carter Strother. 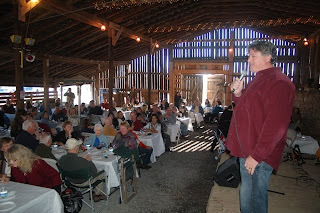 PC Winery is one of 10 wineries along the new Generals Wine & History Trial. Click on picture for more info. Meet Ecco, a ravishing red Yorkshire Terrier, and Pomeroy, a sparkling white Pomeranian. This petite pair of pups spend weekends touring Virginia wine country and are eager to share their experiences. Lesson 6: Put a Cork in It; We're Done! 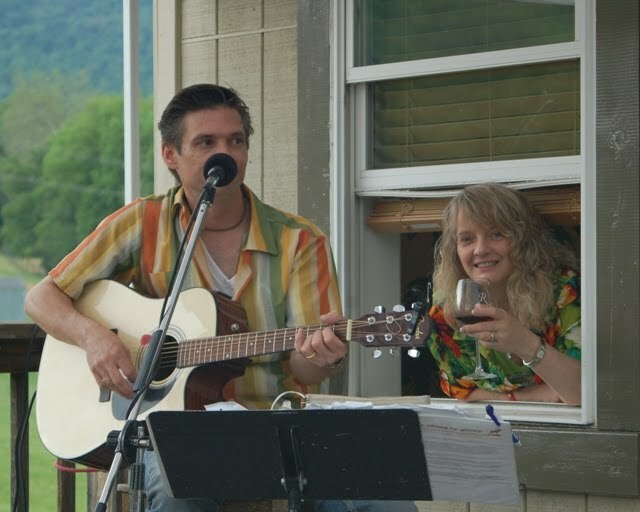 REVIEW: Wine Dogs Sing "You can take me to Paradise (Springs)"
Ecco (left) and Pomeroy (right) enjoy wine-tasting amid Virginia's scenic Blue Ridge mountains. Pomeroy has his very own card! Click picture to buy. Roy salutes Rappahannock's Rose, perfect for a picnic. Advice for wine drinkers... Just say "no" to White Zin. It's not a VA Vintage. Tails and tongues are wagging about the Virginia Wine Dogs Blog. Thank you for visiting. Please come back soon.